Mixed Why stick with one colour when you can have them all? The arrangements below all combine multiple colours into joyful rainbows of colour to wow the senses and stun the recipient. A mixed flowers bouquet is always an excellent choice to celebrate any occasion, from pastel to bright colours, here is the right place to find the perfect flowers! Want to see other floral arrangements? 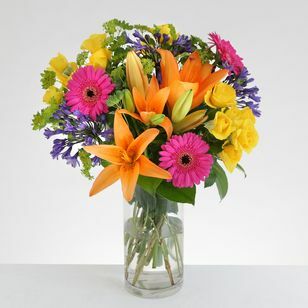 Have a look at our fantastic range of flowers and arrange your flower delivery in a few clicks.